Holy Cow! 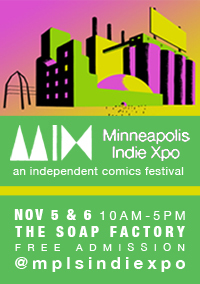 MIX, the Minneapolis Indy Expo, is the weekend after this one (November 5-6)! 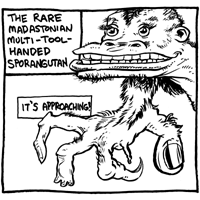 There are going to be a zillion great cartoonists there, and the programming looks wonderful. 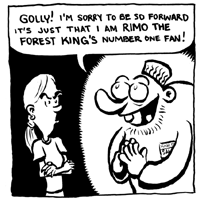 I’ll be at table number 25, next to my good friend and Monkey’s Paw collaborator Ben Zmith! Hard to believe an event like this could be free to the public, but it is, you lucky dog. Enormous kudos and gratitude to the brilliant and fashionable Sarah Morean on putting this amazing event together. If you miss it, I assure you that you will regret it until your dying day. I hope to see you there! Have you ordered your calendar yet? Hey! Are you looking for a cool art calendar for your wall next year for less than the price of a pair of chattering teeth? Please consider supporting Altered Esthetics’ Kickstarter campaign to print their 2012 calendar (disclaimer: the campaign ends in three days, none of which will be included on the calendar). 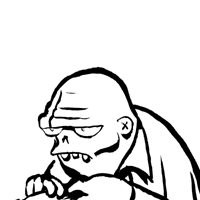 It will feature art by the brilliant Zander Cannon, among others. Zander will be the featured artist for Lutefisk Sushi Volume E, the fifth box set of Minnestota mini-comics put together by The International Cartoonist Conspiracy (in collaboration for the last two volumes with Altered Esthetics… who also collaborated with us on Just Add Ink, Big Funny, and Alley Cat among other things). Unlike inferior digital calendars, this one can also serve to cover the unsightly holes you punched in your wall. Altered Esthetics is not only unarguably the single greatest art gallery in the entire world that there has ever been, but it is also a non-profit, community-centered art gallery that does a tremendous amount to support not only artists, but cartoonists, in the Twin Cities area! You’re only a Lincoln away from mastering time in 2012. If Lincoln had only had one of these, perhaps the ugly night in Ford’s Theater could have been avoided completely. Appallingly, Marvel Comics recently prevailed in court over Jack Kirby’s heirs in their challenge over ownership of and proper compensation for the creations that Mr. Kirby made for them (i.e. “The Whole Damn Marvel Universe”). If you are as disgusted by this as I am (or if you just want some food for thought), please consider reading what Steve Bissette writes about the issue. Marvel may have triumphed legally, but that does not mean we have to let them win. Why buy any new Kirby or Kirby-derivative comics from Marvel? Do you really need to read more fifth-generation rip-offs of the master? Below is a press release from comics historian and retailer Robert Beerbohm, who needs to raise some funds to get hip replacement surgery in India, as he has been shafted by the pathetic American healthcare system and his typically sleazy insurance company. He doesn’t want charity… he wants to give you a good excuse to buy cool old comic books. I haven’t met Robert, but he does a wonderful job moderating the fantastic Platinum Age Comics Yahoo Group. 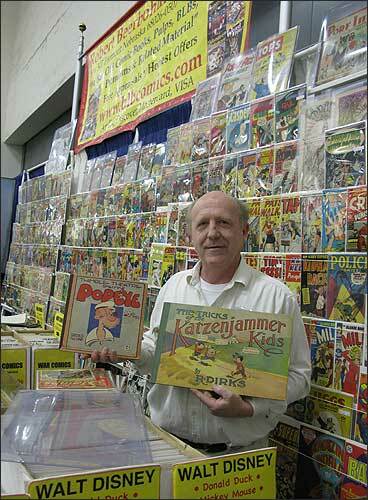 Above: Beerbohm at the recent Wondercon held last month at the Moscone Center in San Francisco holding a Katzenjammer Kids comic book from 1905 and the very first Popeye comic book from 1931. Only way he got there was some one else drove. Overstreet Comic Book Price Guide Advisor and Historian Robert L. Beerbohm, long-time compiler of the Victorian and Platinum Era comics sections, needs an assist from those in comics fandom who have enjoyed his work in documenting some of our long-forgotten early history of the origins of the American Comic Book. After eleven years of building the most concise widely-read historical synopsis of the comic strips true roots in America dating more than 160 years ago, he finds himself in need very soon for dual hip replacement operations. He has been told by a doctor the joint sockets are deteriorating at an accelerating rate. If he does not get this accomplished this year, the operations might not be able to be successful. Long story short, he has been told any where from $60 to 80,000 per side to be healed in America, but over in India, the quote is only $8000 per side plus air fare. This has turned into a no-brainer after he realized one in every seven Americans is without access to covered health care. No charity is requested. If you like his comics history work, you can help him get back in the game simply by purchasing a few books from his list of 12,000 pre-1980 comic books and related items on his web site. Or, from his web site, you can also click to his eBay store BLB COMICS with a slew of high grade as well as mid grade comics collectibles all pictured with large scans and digital shots. If just 400 of you reading this take heed, spending just $50 at his web site, he can reach his goal. An insurance policy he was paying on to HMO Aetna was arbitrarily cancelled by them, citing undisclosed pre-existing condition due to his having been a passenger in a 1974 comicon-bound van outside Houston, Texas pile up documented in Dark Horses anecdotal comics encyclopedia Between The Panels under the heading On The Road. While also suffering a slightly cracked skull, broken nose, cracked shins and impacted teeth which all mostly healed back in the 70s, ultimately what is doing him in now was the impact points of his hip joints in that accident. Seems the impact point cartilage wore off at a faster rate over 30 years, leaving bone on bone at various points, which is quite painful at times. Beerbohm’s first comicon was Houstoncon June 1967 where he turned 15 at the show. He has sold comics at every San Diego Comicon since the first one in 1970, the same year he also began a yearly trek to Phil Seulings legendary July 4th weekend New York City shows. He lost count after 1000 shows some time ago. He went from 30+ comicon shows around the country a year up thru 2005 when his hip joints finally gave out at that years Chicago Wizard show. In 2006 eight shows, in 2007 just three, this year the jury is still out. By August 1972, he co-founded what became Comics & Comix in the San Francisco Bay Area with the late, fondly missed John Barrett and Bud Plant. Robert joined in with them following a conversation he had one-on-one on an early Sunday morning with the late legendary Will Eisner had the genius’s second comicon appearance at Multicon in Oklahoma City June 1972. Eisner told Beerbohm when the talk moved over to what steps could be taken to try to save the comic book, then undergoing horrendous cover price increases following the fallout of the glut brought on by the Batman TV craze of the late 60s, that one way was to plant comic book stores near college campuses, then an unheard-of idea. With that first store at 2512 Telegraph Ave in Berkeley just a few blocks down from UC-Berkeley, they thought they could sell a lot of alternative creator-owned comix then known as underground. Within six months they hosted the first Bay Area comicon Berkeleycon 73 in the Pauley Ballroom in the ASUC Building on campus, site of many earlier Grateful Dead, Jefferson Airplane, etc concerts. 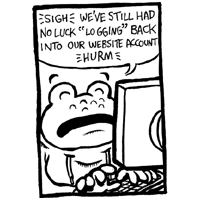 Many thousands came thru to check out the new comix. The fabled Tom Reilly pedigree collection of some 4800 NM/M Golden Age comic books surfaced at this seminal show which Comics & Comix was blessed with acquiring almost 7/8s of the entire score. Robert is trying to finish up the chapter on this legendary collection for the upcoming pedigree book. Bud and Robert were also housemates in San Jose in those years then when the phone call came in from Phil Seuling informing them he had just cut a deal to be able to ship Archie, DC, Marvel, Warren comic books from Sparta, Illinois. 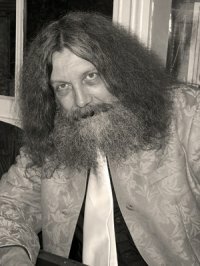 Phil offered the west coast to Bud at the time, but Bud turned him down, preferring then to concentrate on all the proliferating smaller press material, especially those comix containing Robert Crumb, Gilbert Shelton, Art Spiegelman, Richard Corben, Vaughn Bode and a host of other talented comix creators. 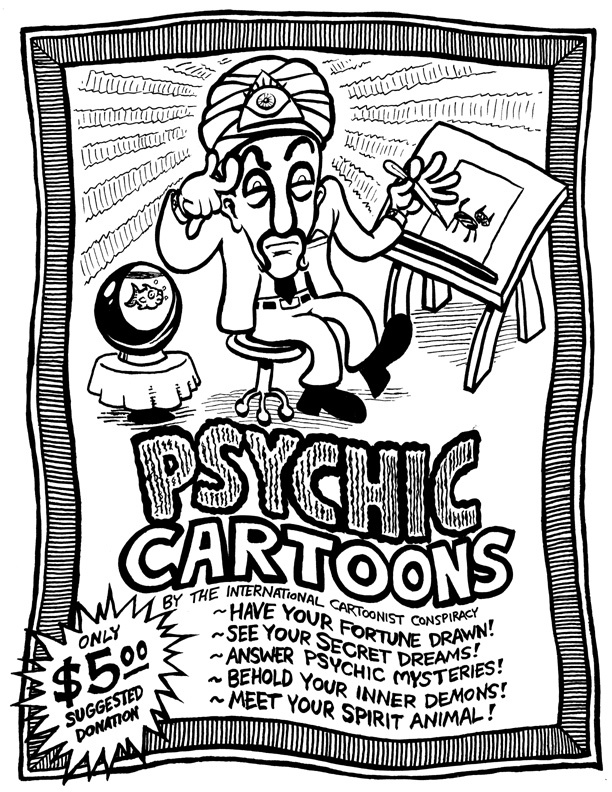 Out of all this energy, the Direct Market had been birthing and Comics & Comix was right in the middle of it all. That was a long time ago in that galaxy far far away. He profusely thanks each and every one who responds to this. Comic Book History in America is 166 years old now. Beerbohm is eager to get back on the road setting up at shows around the country while also continuing his on-going quest to learn and share with all collectors and scholars more Secrets Behind the Origins of The Comics Business in future Price Guides.